Instructions for restoring individual files and folders. 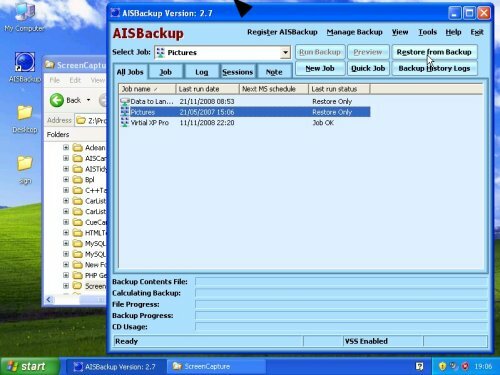 Often there is a requirement to restore one or two files or folders rather than a complete PC and AISBackup offers facilities, such as drag-and-drop restore to make this process as easy as possible. Select the backup job from which you want to restore then click Restore from Backup. 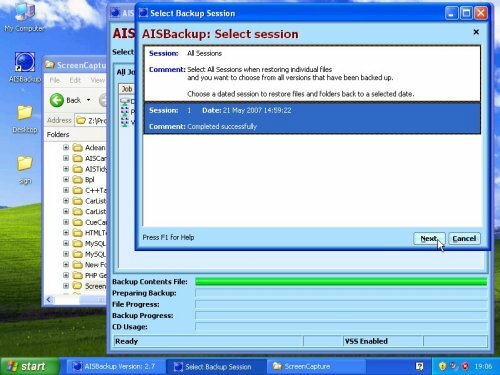 Start AISBackup, select the job from which you want to restore then click Restore from Backup.